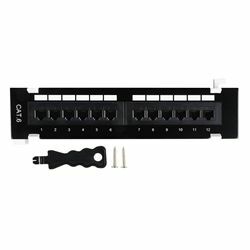 Use this reduced-size CAT6 patch panel when space is at a premium. The panel easily disconnects from the cradle for rewiring. It can be wall mounted vertically or horizontally.